TravStar1 Point Of Sale SystemRegister Manual Fleet ChecksHow Do I Process TCH / EFS Check? How Do I Process TCH / EFS Check? A Plus Check is a physical check issued by Transplatinum / Fleetone. These are printed checks. Fleet checks are used to pay for diesel transactions, fuel and / or cash advances. 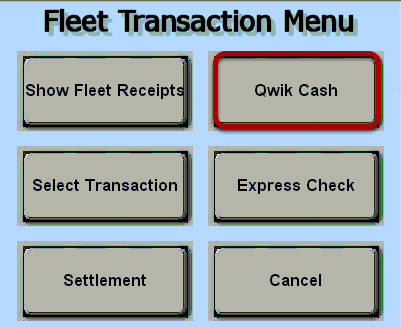 Handle fleet check transactions as if you are cashing a check. Customers can come in with a fleet check or may request a fleet check from you by name. You will begin the process by ensuring the customer has completed all blank spaces, except the authorization number. Ask the customer to endorse the bacl of the check. Then ask for the customer's government issued ID to verify that the name in the "Pay to the Order of" field and any other identification information filled out on the fleet check match the information on the ID. Be sure to compare the endorsement signature to the ID as well. 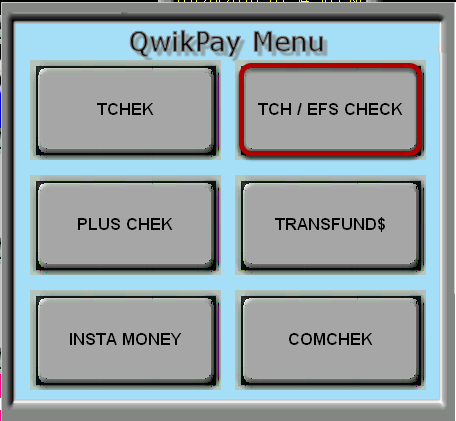 Touch the "Qwik Cash" button. Touch the "TCH / EFS Check" button. A printed paper check may be presented by the customer or a blank check can be given to the customer to fill out if they have a moneycode (10 and 23 digits). If authorization is successful, a receipt will print out with the dollar amount and authorization code. Print the authorization code provided into the authorization code box on the paper check. The customer can now take the authorized dollar amount as a cash advance, purchase fuel, or both. Save the paper check for deposit. If the authorization fails, then the following error screen will appear. At this point you must call the billing company for approval. 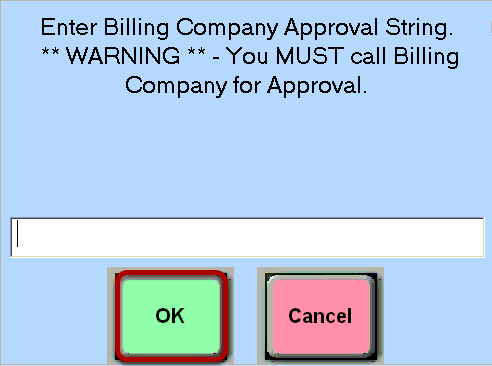 Once you receive a voice authorization code frm the billing company, type the approval number using the keyboard and then touch the "OK" button. 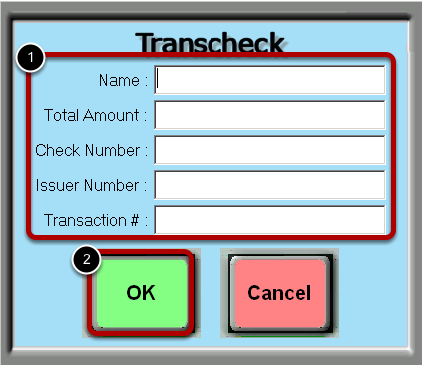 Prev: How Do I Process a TChek Check? Next: How Do I Process a PlusChek?